The Body Shop has been one of my favourite shops for many years now so when they said yes to a Blogger Event I was so thrilled! 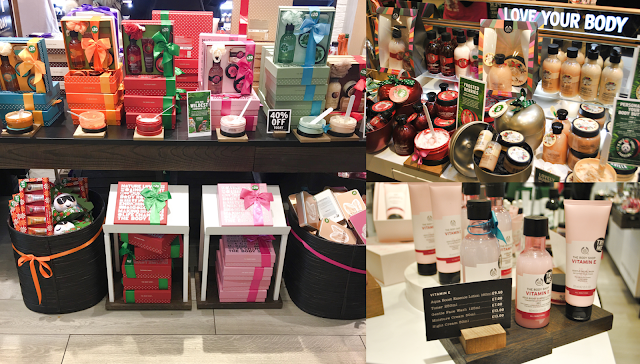 The products are amazing all year round but they bring out a couple of different scents at Christmas time which are just incredible, so a Christmas Blogger event was just perfect! 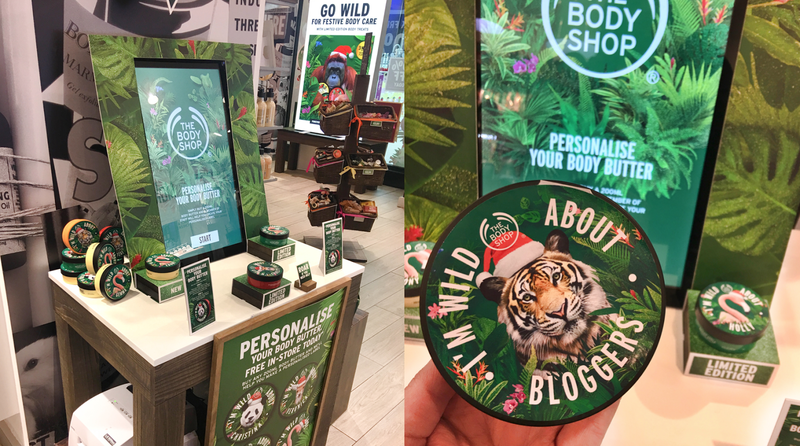 The Body Shop have only went and released their wildest campaign yet - Jungle Bells! Yes Jungle Bells, not jingle bells. I recommend you watch the video here - but be warned - You'll be singing it right until Christmas! So for every selected gift bought this Christmas, the Body Shop will help protect endangered creatures and restore 1 square metre of the Rain forest - incredible! They are aiming to raise £200,000 this year which will be split between three countries, 58% will continue to support their original campaign in Vietnam while 42% will be split equally between Bio-Bridge and animal protection projects in Indonesia & Malaysia. Since launching, they’ve been able to secure 11,262,651 square metres of Bio-Bridges. The goal? The Goal is to raise 14 million square metres worth of funds by the end of 2016 - hopefully they can smash that target! You can read all about each individual project here. The selected gifts that help with the #JungleBells campaign are the gift sets with the new festive scents and the regular scents, also the stocking fillers such as the really cute bath sponges, lip balms sets and many more beauties. You can also get a body butter of choice personalised free of charge in selected stores and amazingly, Aberdeen is one of those stores. This makes such a great gift and as you can see, they're mad about Bloggers! You simply choose your butter, enter either your name (treat yo' self! ), your nan's, best friends - anyone you want to give it to, print it off there and then, stick it on and away you go! Now let me tell you about the event. We were greeted by the lovely staff in the store and offered some bubbly and chocolates - always a hit with us lot. After we had a quick nosey round we were told all about the campaign and about the Black Friday discounts that were available (so many great deals were on offer so be sure to head down next year to grab a bargain). We were told all about the festive scents this year that are Frosted Berries, Vanilla Chai and my absolute favourite, Spiced Apple and how you can get a selection of products available in these scents such as candles, bath foam, lotions and many more including a shimmer mist which sprinkles you in delicate glitter - perfect for the party season! Once we had a brief on the products we were set loose on the store - I mean twenty odd bloggers sniffing here, snapping photos there and swatching everywhere! The Makeup was one of the most popular parts of the store and I think the liquid lipsticks in particular because of the pigmentation and the price- beat that Kylie! I picked up a few birthday presents for my Mum as I do almost every year and I bagged myself one of their small Advent Calendars! I've never owned a Beauty Calendar before and I'm so glad I got my hands on this one because so far every product has been great - minatures and full size products everywhere in my house right now! I think its fair to say after seeing everyone leave with a big bag of products and smiles all over their faces that this event was a success! The Body Shop is so great as they actually give a damn about the planet that we live on and that really makes my inner hippie ecstatic! I want to say a huge thank you to The Body Shop Aberdeen staff, especially Rebecca as I bombarded her with message after message. Thank you for putting on a great night, for being so welcoming and for the personalised gifts for everyone who attended - it was so thoughtful! Also thank you to everyone who came along, there were so many new faces, it' great to see the Aberdeen blogging community growing! *I was gifted a couple of things for arranging the event but again, as always, all opinions are my own. The products are great, the company that is The Body Shop is even better! Instagram Round Up #3 | Where have I been?